insta-Tune Huntington Beach: fast, professional and cheap smog tests. Fast, professional and cheap smog tests! 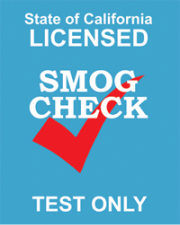 We are a STAR-certified Smog Test-only station serving Huntington Beach and surrounding areas since 1984. The new STAR Program begins January 1, 2013 and it replaces the Gold Shield and Test Only program. If your DMV registration renewal notice states your vehicle requires a smog check at a STAR station or if your vehicle registration states your vehicle requires a smog check at a Gold Shield or Test Only station, you must take your vehicle to a STAR station after December 31, 2012. If you are looking for first-class, professional service, you have come to the right place! We are friendly, professional and inexpensive. insta-Tune serves Huntington Beach, Fountain Valley, Costa Mesa, Newport Beach, Westminster, Seal Beach, Garden Grove, Santa Ana, Stanton, Rossmor, Irvine, Los Alamitos, Cypress, Tustin, Orange and Hawaiian Gardens.